Company B was competing on product performance and quality in a consumer electronics market experiencing tough price competition. But with a market flooded with low price goods and no sign of economic recovery in sight, they were not succeeding on performance and quality alone. Price negotiations with parts manufacturers had broken down, as project ran into difficulty. 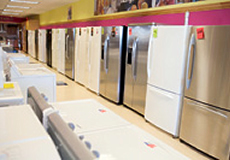 Manufacturer of refrigerators, telephones, televisions and other consumer electronics, Company B’s products are well known for their high value-added in the areas of performance and quality – excellent design, functionality, durability and usability. However, they were unable to survive in a fierce price war by pursuing quality alone. To compete against low price products on the market, Company B management decided the best thing to do would be to look for further improvements to the performance and quality where they had superiority. They had little chance of winning against the low price goods of other manufacturers without knowing how to reduce price themselves, so they aimed for high performance and quality rather than reducing price. Manager S from the R&D Department was assigned to the project, so he investigated cutting unnecessary costs while increasing development costs aimed at improving performance and quality. He started by making some trial products to see if there were any parts currently being used that could be cut back. The result was lower performance and quality than even the previous models they manufactured. The project would be meaningless if he could not at least improve on the performance and quality of past models. Unable to reduce current product costs, he wondered how he could raise more funds for improving performance and quality. Manager S was looking for a new way forward, so he collected information from the Internet, magazines, customers and others in the same trade. He was unable to find the optimum solution, and development of new products was at a standstill. Precious metals saving solution reduced use of gold by 30% compared to existing products. Unable to abandon his project, Manager S visited one exhibition in search of more information. He happened to visit the TANAKA stand where he learned about our precious metals saving solutions to reduce the use of precious metals, and thought this might work for his company. Sometime later, he contacted TANAKA to find out more details of this solution. The TANAKA salesperson explained how he could reduce the amount of precious metals used currently without a drop off in performance. Costs could be reduced by using thinner layers of precious metals or by substituting them with other precious metals. TANAKA was able to advise the project from the design stage as well, so Manager S eventually decided to ask us to help. Three months after adopting TANAKA’s proposals, Company B succeeded in reducing the amount of gold used in new products by 30% compared to previous products. And with the savings achieved from reducing the use of precious metals, they were able to improve performance and reduce the size of switches used on their products. Naturally, product price was left unchanged. Through this project, Company B was able to achieve differentiation from its competitors’ products, maintaining its advantage in the market. By nature, precious metals are a precious resource with low yields. By saving precious metals, this project had environmental conservation implications as well, which had the added benefit of enabling Company B to meet its social responsibility obligations. What solutions are available for product recovery and precious metals savings?